A Wrinkle in the Skin by John Christopher is a 1965 book about a man who walks from Guernsey to the mainland after the sea disappears in an earthquake. There’s something vaguely optimistic about reading Ruth Ozanne’s occupation diaries. Perhaps it’s because, with perfect hindsight, we know that, ultimately, everything was resolved for a large part of the population. The Guernsey Quiz Book is the perfect gift for any Guernsey know-it-all. 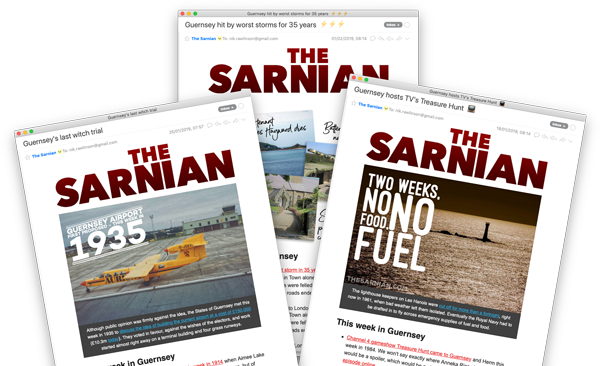 With 1000 questions organised into 100 pot-luck quizzes, it’ll test even the greatest Guernsey aficionado to the culture, history and geography of the Bailiwick. Members of Amazon’s Kindle Unlimited programme can now download The Sarnian series for free.